I’m so glad you posted this. I have an 11 year old special kid who is in public middle school for the first time, after being homeschooled his whole life. This book sounds like a perfect read-aloud for us. Thank you so much! You can’t imagine how great it is to hear that! I think my favorite thing in the world might be finding the right book for the right kid. I really hope you both enjoy it. I love this! It just makes my heart happy to hear that :) Middle school years can be so long and tough (for parents and children! ), and I think finding the right books to ease it along is key. Give her a high five for having awesome taste in books for me! The universe takes care of all its birds- Oh, how I love this line! I kind of feel line painting it on my wall above my computer for some reason. That’s so strange, but I can’t stop laughing at it! I’ve never wanted a tattoo, but I think if I ever got one, it would be “The universe takes care of all its birds.” It would be a good reminder, I think, of the hopefulness that’s possible. 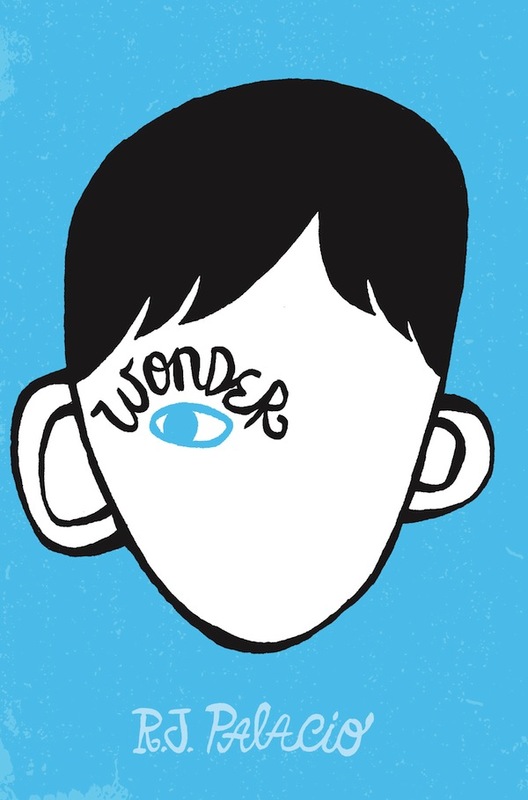 wonder is such and amazing book! this is such an amazing book! I have read it like 50 times! I’m actually listening to it right now on a Playaway! It’s just so life altering and inspiring. I can’t wait to reread it! It seems like the perfect book to just leave out and pick up whenever I have a free minute. It was just such a joy to read!